Take a kid to a party with a bounce house and chances are you won’t see them for long. Most kids are thrilled to jump and flip in these inflatables for hours. Bounce houses and other inflatables seem to be at every church picnic and child birthday party, providing endless entertainment for kids and even adults. 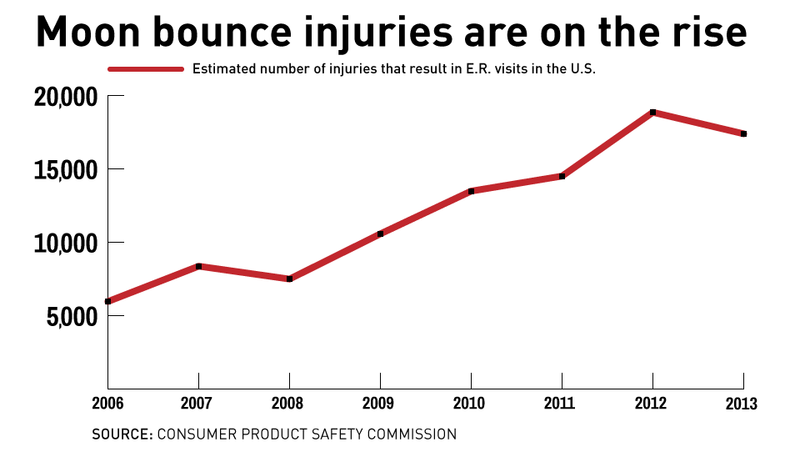 However, injuries are on the rise and some of these injuries can be life threatening.